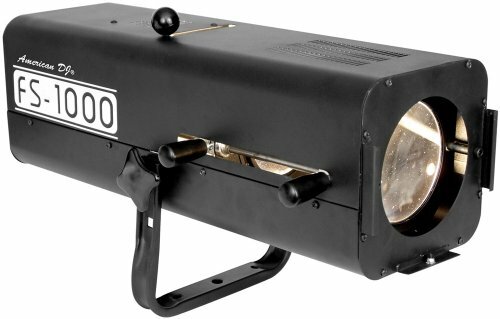 American Dj Fs 1000 Follow Spot Which Uses A 575 Watt Halogen Lamp As Its Source (Similar Output To A 1000 Watt Lamp, 0-100% Dimming Onboard, Iris And Focus. If you have any questions about this product by American DJ Supply, contact us by completing and submitting the form below. If you are looking for a specif part number, please include it with your message.